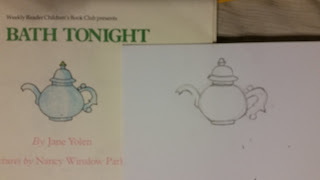 Art Lessons with Peter Yesis! 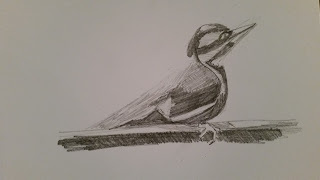 I was so fortunate to have art lessons this last month with none other than my favorite artist, Peter Yesis. I learned of all the relationships of colors in a painting and started working with a limited palette: ultramarine blue, cobalt blue, alizarin crimson, cadmium red, cadmium yellow, yellow ochre, and titanium white. 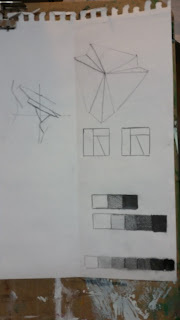 Here are the results of each lesson. 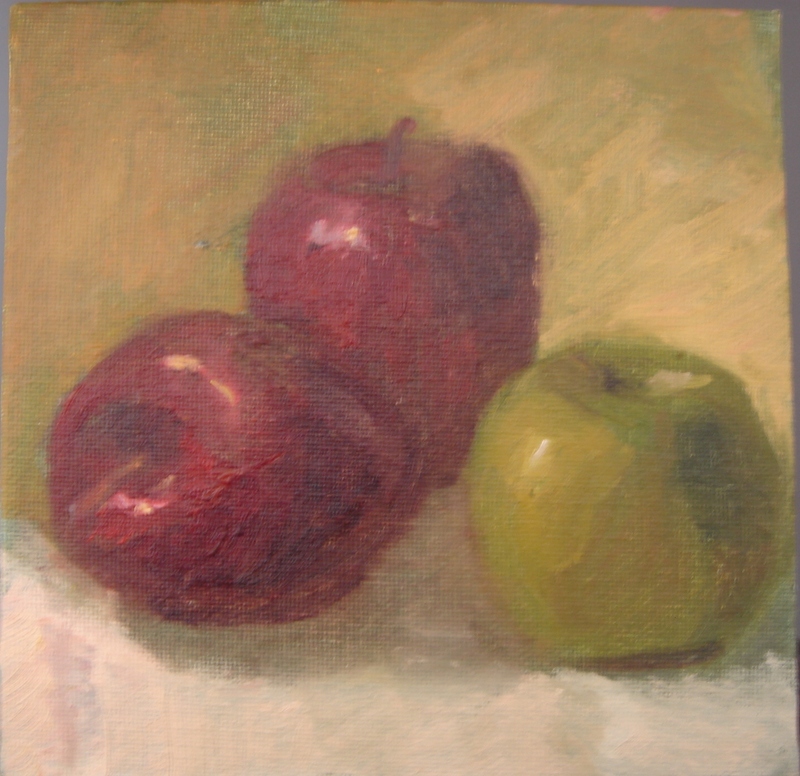 The first is a still life of apples in a more realistic style. 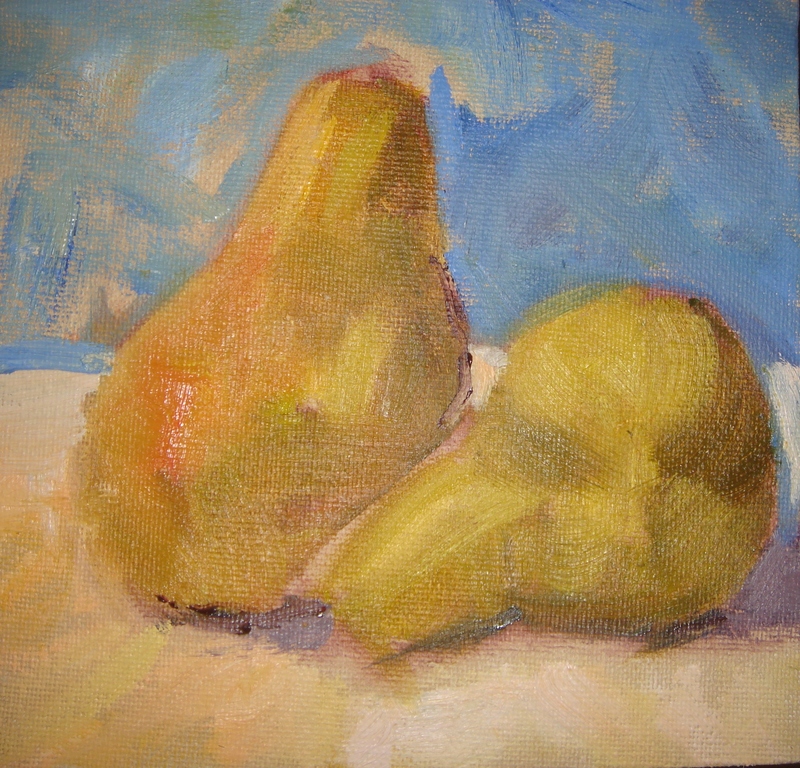 The second, a still life of pears, is looser due to my questions on impressionism. (And I still can't decide which style I like more)!